H. Robert Reynolds is the Principal Conductor of the Wind Ensemble at the Thornton School of Music at the University of Southern California where he holds the H. Robert Reynolds Professorship in Wind Conducting. This appointment followed his retirement, after 26 years, from the School of Music of the University of Michigan where he served as the Henry F. Thurnau Professor of Music, Director of University Bands and Director of the Division of Instrumental Studies. In addition to these responsibilities, he has also been, for over 35 years, the conductor of The Detroit Chamber Winds and Strings, which is made up primarily of members from the Detroit Symphony. Robert Reynolds has conducted recordings for Koch International, Pro Arte, Caprice, and Deutsche Grammophon. In the United States, he has conducted at Carnegie Hall and Lincoln Center (New York), Orchestra Hall (Chicago), Kennedy Center (Washington, D. C.), Powell Symphony Hall (St. Louis), Academy of Music (Philadelphia), Disney Concert Hall (Los Angeles), and Tanglewood. In Europe, he conducted the premiere of an opera for La Scala Opera (Milan, Italy), and concerts at the prestigious Maggio Musicale (Florence, Italy), the Tonhalle (Zurich, Switzerland), and at the Holland Festival in the Concertgebouw (Amsterdam, Holland), as well as the 750th Anniversary of the City of Berlin. He has won the praise of composers: Leslie Bassett, William Bolcom, Aaron Copland, John Corigliano, Henryk Gorecki, Karel Husa, Gyorgy Ligeti, Darius Milhaud, Bernard Rands, Gunther Schuller, Karlheinz Stockhausen, and many others for his interpretive conducting of their compositions. Professor Reynolds was Past President and the very first recipient of the Lifetime Achievement Award from the College Band Directors’ National Association as well as being Past President of the Big Ten Band Directors’ Association. He has received the highest national awards from Phi Mu Alpha, Kappa Kappa Psi, Phi Beta Mu, the National Band Association, and the American School Band Directors’ Association, and he was awarded the “Medal of Honor” by the International Mid-West Band and Orchestra Clinic. He is the recipient of a “Special Tribute” from the State of Michigan, and he was a member of the National Awards Panel for the American Society of Composers, Authors and Publishers (ASCAP) for over 10 years and in 2001 received a national award from this organization for his contributions to contemporary American music. 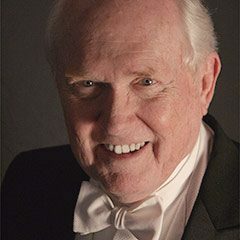 He is also listed in the New Groves Dictionary of American Music, and his frequent conducting appearances have included the Eastman School of Music, New England Conservatory, Oberlin Conservatory, Northwestern University, Manhattan School of Music, as well as the Wind Ensemble at the Tanglewood Institute. Robert Reynolds has been a featured conductor and lecturer at international conferences in Austria, Australia, Norway, Belgium, England, Holland, Slovenia, Sweden, Germany, Denmark, and Switzerland. He has conducted in many of the major cities of Japan, Spain, and Sweden including concerts with the Stockholm Wind Orchestra, the Norrkoping Symphony Orchestra and professional wind ensembles in Bilbao and Barcelona, Spain. Many of his former students now hold major conducting positions at leading conservatories and universities, and several have been National Presidents of CBDNA.